The Harry Potter series is a cultural phenomenon and a multi-billion-dollar franchise that’s comprised of seven books, eight movies, and countless hours of entertainment. Its lesser-known satirical take, Potted Potter, is a stage play with a limited budget that attempts to condense the entire story into a 70-minute performance. Despite the challenge, Potted Potter manages to pull off the task with hilarious results. The wizards behind this feat are Dan Clarkson and Jefferson Turner, storytellers who take the stage as the main characters and create a magical experience for all audiences by combining technology and traditional stage play. Clarkson and Jennifer Lee, the company stage manager, took time after the opening night to chat with Imprint. The play began when the sixth book came out. Clarkson recalled, “We [Clarkson and Turner] were asked to do something for a bookstore at midnight, and so we came up with the idea of doing all five books in 15 minutes. We came up with this sketch … put it on, and it was very successful. With no trademark costumes the idea was to use things one could find at home in order to create standout identifiers of the characters that were portrayed, said Clarkson. The rest was left for the viewers to fill in with their imagination. The show has been running for 10 years and has performed in places such as Australia, Malaysia, Hong Kong, the U.S., Canada, and, of course, the U.K. Picking UW as a venue came as an easy decision to the creators, who cited the large student and family following for the series as a motivation, and added that by choosing this space they were able to offer tickets at affordable prices for all to enjoy. 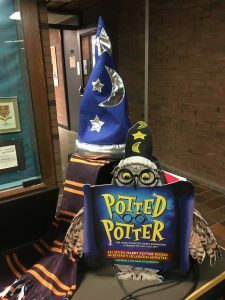 About 500 people of all ages filled the theatre, many wearing their best wizard’s robes complete with wands, and all left buzzing about the exciting, laughter-filled evening they had just partaken in. 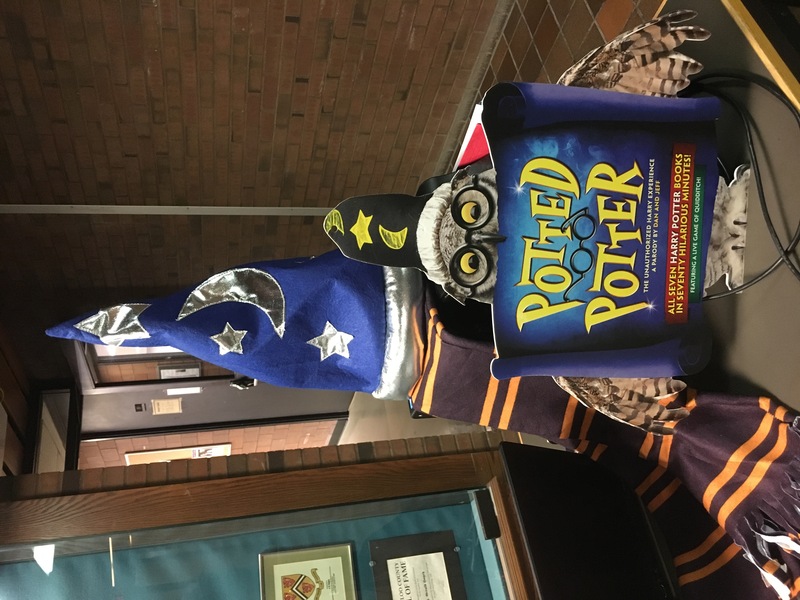 Potted Potter ran from Oct. 6 to 9 in the Hagey Hall of Humanities Theatre.